Which Foods Will Help Clear Out Clogged Arteries? Atherosclerosis, or clogged arteries, is a very serious medical condition that can result in heart disease or stroke. Cholesterol and other fatty substances collect along arterial walls, narrowing your vessels and preventing blood from flowing to your heart, lungs, brain and other organs. The National Heart, Lung and Blood Institute states that diet and exercise are two of the best lifestyle changes you can make to treat atherosclerosis. Many delicious, natural foods can help stop the progression of atherosclerosis and even clear out your clogged arteries. 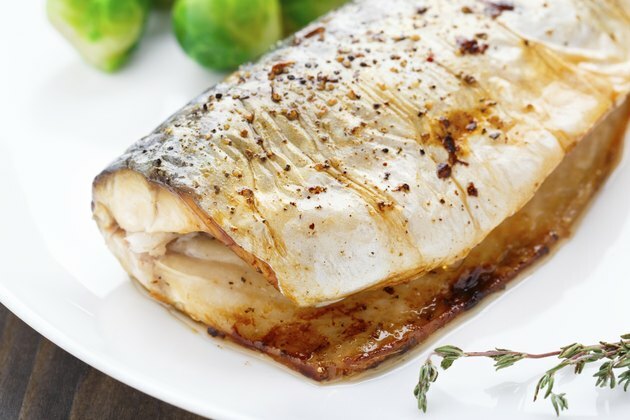 Some fish contain healthy omega-3 fatty acids, known to have a positive influence on high blood cholesterol levels that lead to clogged arteries. Eating these fish -- herring, tuna, trout, mackerel and salmon -- reduces atherosclerosis in some segments of the population. In a study reported in the "American Journal of Clinical Nutrition," researchers from Oregon Health & Science University found that women who ate two or more servings of fatty fish each week or one or more servings of tuna had arteries that were less clogged than women who did not eat fish regularly. The report attributes this benefit to omega-3 eicosapentaenoic and docosahexaenoic acids. Flax seed is another source of the healthy omega-3 fatty acids. Purchase dry, ground flax seed or flax seed oil supplements made from natural flax to reduce atherosclerosis. 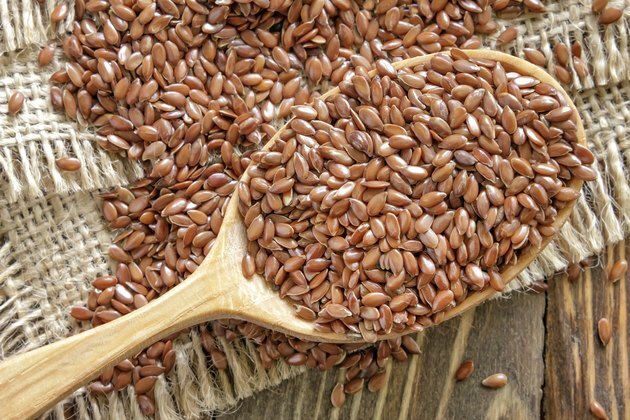 Sprinkle flax seed into soups and stews to clean out your arteries while you enjoy dinner. 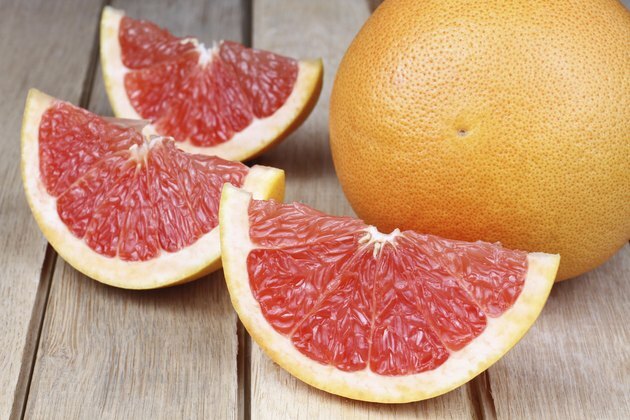 Eat oranges and grapefruit to reduce stenosis, or narrowing of the arterial space due to build-up of cholesterol and other fatty deposits. A study by researchers from the University of Southern California Department of Preventative Medicine found that foods high in viscous fiber, especially foods containing pectin, appear to protect your arteries from clogging. 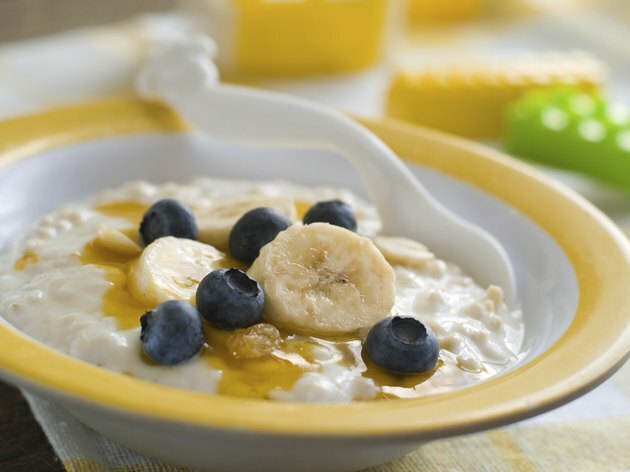 The National Heart, Lung and Blood Institute suggests you eat oatmeal and whole grain cereals to reduce atherosclerosis. The soluble fiber in oatmeal binds to cholesterol before your body has a chance to absorb the cholesterol from food. Lower cholesterol absorption results in less accumulation along your arterial walls. Bananas, oranges, kidney beans and black-eyed peas are also good sources of soluble fiber. Include pears, prunes, raisins and lima beans on your next grocery list. Replace butter and margarine with olive oil whenever possible. Butter and margarine contain unhealthy saturated and trans fats which can raise your risk of heart disease and clogged arteries, according to the American Heart Association. A healthy diet includes small quantities of healthy, polyunsaturated fats that help lower your cholesterol levels. 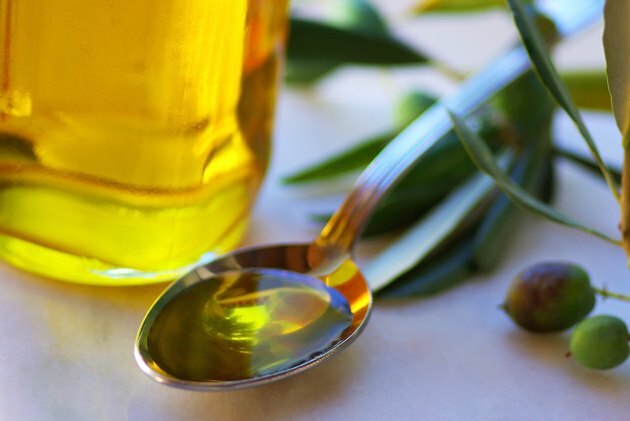 The University of Maryland Medical Center suggests consuming 2 to 3 teaspoons of olive oil per day as a replacement for other types of unhealthy fats. National Heart, Lung and Blood Institute: How is Atherosclerosis Treated? American Journal of Clinical Nutrition: Will the Dietary Intake of Fish Prevent Atherosclerosis in Diabetic Women? Can Artery Plaque Buildup Be Reversed With Diet?